The Icon of Burial. Paschal confessions were said here before the Feast of the Resurrection. 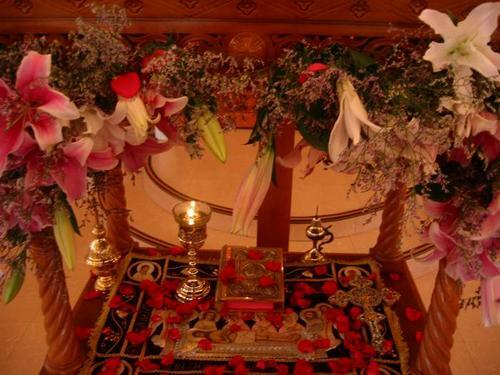 The oil lamp contains the oil used for Holy Unction given on Wednesday and right before Pascha.